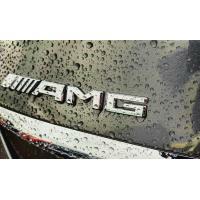 Whether you are shopping for a new or pre-owned Mercedes-Benz, genuine Mercedes-Benz parts and accessories, or if you are seeking experienced Mercedes-Benz service technicians, you will see that quality service is our highest priority. Mercedes-Benz of Valencia in Santa Clarita California, has a friendly and knowledgeable staff willing to help you find and finance the perfect vehicle for you. The needs of each individual customer are of paramount concern. We know that you have high expectations, and as a car dealer, we enjoy the challenge of meeting and exceeding those expectations each time. Visit our specials page to see all of our current promotions on new Mercedes-Benz and pre-owned Mercedes-Benz cars, Mercedes-Benz parts, and Mercedes-Benz service. 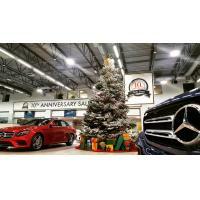 You can request more information, schedule an appointment for Mercedes-Benz auto repair in Santa Clarita California, or request Mercedes-Benz parts by just a click of a button. Go to our directions page for a step-by-step driving instructions to our Mercedes-Benz dealership in Santa Clarita California, or you can just call us at 661-753-5555. We have many clients from all over the Los Angeles County area. 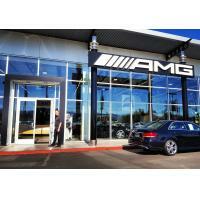 Come and visit us and we will make you a happy Mercedes-Benz of Valencia client as well! Click here to read what our clients have to say about us. Mercedes-Benz of Valencia client testimonials. Mercedes-Benz of Valencia is a proud sponsor of the William Hart Baseball field. Hart Field hosts the Hart Baseball and Softball Leagues where children of all ages have the opportunity to play ball in a fun environment. The Hart Leagues are well-organized and staffed by volunteer coaches, managers, and Team Moms. Hart Field also incorporates LiveScan technology for all staff who interact with players in order to ensure the safety of our children. Because we strive to serve our customers with excellence every day, we recognize this quality in others. This is why we have partnered with Hart Field.